I fell in love with jewellery and being a part of my clients’ special occasions and moments. For more than 100 years now, the Whitaker family have been the jewellers of choice in Newcastle and the Hunter Valley. Their reputation for superior craftsmanship and second-to-none customer care began in 1903 when Reginald Wilfred Whitaker founded the family business in Muswellbrook with his three sons. Two more stores followed in Maitland before the family opened another store in Hunter Street, Newcastle. 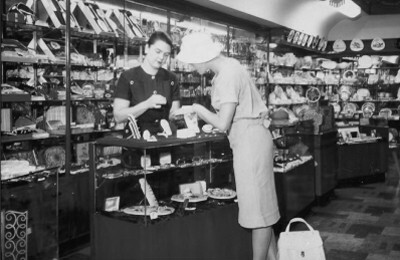 In 1965, John Whitaker Senior opened a flagship store at the new Kotara Fair, along with satellite stores in Raymond Terrace, Mount Hutton and Belmont. Whitaker’s presence across Newcastle and the Hunter Valley has enabled them to play a part in countless special memories for generations of Novocastrians. As a fourth-generation jeweller, it isn’t so much a job for John as it is a way of life. And it has been this love and passion for all things jewellery – the gems, the designs, the creative process and most importantly the connection with clients – that has driven John’s 30-year career in the industry. With his father’s encouragement and foresight to upskill and take the business into its next phase, John refined his knowledge and skills at the Gemological Institute of America (GIA) in California. Upon his return, John committed himself to learning every aspect of the family business. 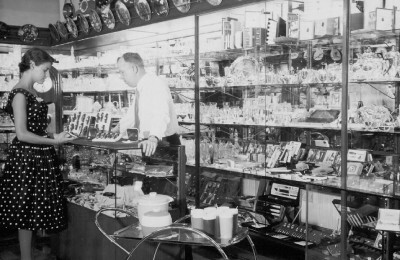 Having now been at the helm of Whitakers since 2006 with his wife Leonie, John’s vision for the business still remains true to his great grandfather Reginald Wilfred Whitaker’s; to provide clients with an exceptional experience from the moment they walk in the door to the time they leave with their purchase and the many years that follow as they enjoy their jewellery piece.